When I came home from Christmas, it had turned out my house had been broken into and with this, all my make up had been stolen! I was furious, all my expensive make-up I use special occassions was gone. My guy noticed how distraught id been about this and took me for a wee shopping trip... Simply another reason I love my guy! 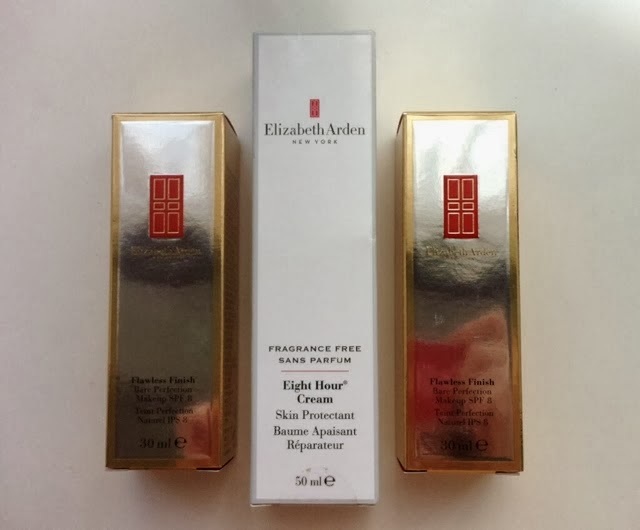 So after swatching loads of make up I remembered my Elizabeth Arden 8 Hour Cream was missing as I was in dire need of some due to the increasingly cold weather. So while browsing the E.A area I was instantly drawn to their sale. Where their Flawless finish foundation was down from £26 to £13 - which was simply not something I could say no to... In fact I ended up getting two! Overall: This is more of a repurchase for me. I've had it before and fell in love. I prefer the fragrance free, because ironically enough I like the scent better(?). It' sensitive on my skin and really does do what it says on the tin. It claims to restore, calm and help relieve chapped, cracked and dry skin; when I first read this you can imagine I've been sceptical but I all doubts fade after your first couple of uses. I use this on my lips, nose, eyelids ect and I can't get enough. It's brilliant if you apply it before bed because I wake up with silky soft skin, but I also carry it in my handbag and reapply throughout the day. Pros: It does exactly what it claims to. I've never found a product that could tackle my winter-affected skin mixed with my awkward eczema. If applied before make-up application it means there's no flakey or dry skin that's difficult to cover. You also don't need to use a lot to get the benefits. Cons: I think this has to be the price. As a student and a lady saving for a wedding I tend to be rather put off by high price tags... Though I think this is on my exceptions list! Would I buy again? In a nutshell; yes! Though due to price I wouldn't make a habit of overuse or weekly repurchase! Overall: I've been really impressed with this foundation. 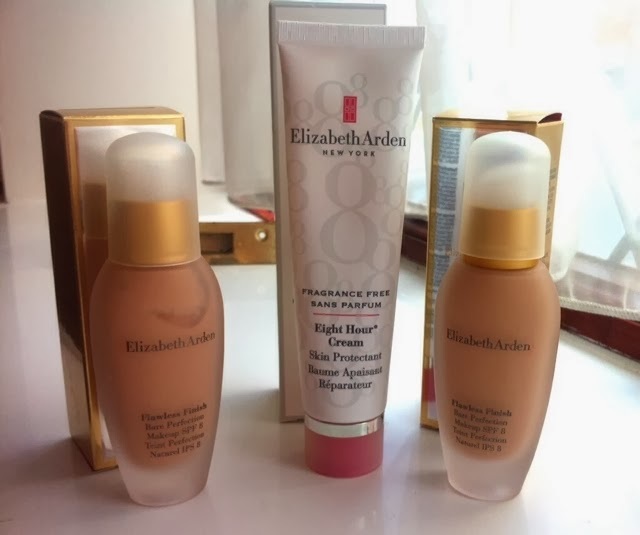 I struggle with foundations in winter due to my difficult skin. But I haven't had a problem with this at all! No flakiness, lasts hours, great coverage ect. With combination skin, I need something oil free, but will also not dry my out. But I also want it to have the right about of coverage and protection for any weather or season... Not fussy at all right?! This being oil free with medium coverage and spf 8 it seemed to tick the boxes - so I got two. I got Cream -for everyday pale lil ol' me and Cameo - for nights out and summer ect... Both are really pigmented meaning they blend on your skin perfectly. I've been really impressed! Pros: The coverage, spf and the fact it's oil free is exactly what I look for in a foundation. It doesn't stick to or emphasise any of my dry skin or eczema. It screams high quality and high end glamour. Cons: I think again this has to be it's usual price. Though I got it at half price, and it's uber high quality, I think I'll be seeing how far I could make these last! Would I buy again? Possibly. I'd love to, but I think it's a save-up for it situation! 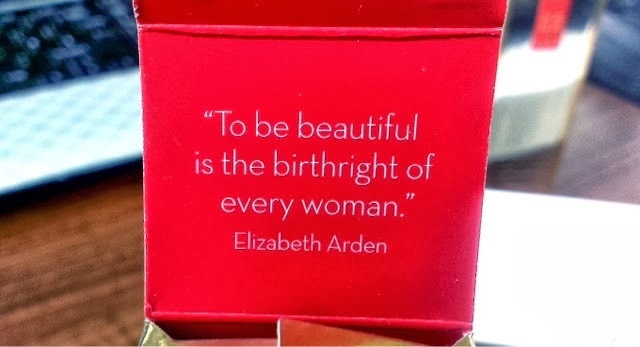 So that's my Elizabeth Arden mini haul and review. I've genuinely loved these items and they really are, in want for a better word, fabulous! I genuinely enjoy sitting at my make-up desk using these bad boys... I feel uber glamourous just walking round with them on! I'd love to know what you all think of these products! Have you tried them? Have you loved or hated them? Would you like to try them? Penny for your thoughts guys! Also look out for my FOTD featuring the foundation! I love your blog. its amazing.